LORI – As requested here are some photos of the Dynasty Room where your daughter is to be married. I am sure it will be a beautiful day (save me some cake ). Note: Did you know at that the first Olympic Games the contestants were all naked. I guess they did not have the women’s shot put in those days ! JO AND DAVE – Most of the ports we call at are reachable on your own however there may be areas we do not recommend you go on your own. Chat with me when you are onboard and I will make sure you get the best advice for what you want to do. Looking forward to seeing you. MAXWELL100 – The question of buying your tours online or waiting to you get onboard is a tough one but if you know what you want buy now online. If you change your mind once you are here we can exchange 90% of the tours for you so you should be OK. Most do not sell out so you also have the option of waiting to hear my information talks before buying. Regardless, our tours are simply fantastic and we have something for everyone in every port. When are you sailing? KURT – I understand exactly what you mean about visiting Ground Zero. I cannot imagine the emotions you must be feeling just typing the message. My thoughts are with you at the loss of your colleagues and I look forward to sharing happier times with you in July. JOHN AND MICHELE – As each day goes buy it never ceases to amaze me that so many people are reading this blog thingy so thanks for the uplifting stats. I have a great team in the office, including Frank, Roberto, Vance and my unnamed and secret PA who without I would never get these blogs posted. Please keep reading and see you in August. STEVE GARROD & GREGG G – The tea is not on the menu I assure you. I do not think even our suction toilet system could handle 3,000 guests who have drunk this stuff. I will stick to my grapefruit diet – 30 GRAPEFRUITS FOR BREAKFAST – 20 FOR LUNCH AND 30 FOR DINNER. You lose lots of weight but every time you go to the toilet you squirt yourself in the eye ! SARAH – Please leave me a note when you get onboard at the Purser’s Information Desk and I will make sure I make your honeymoon a special one, although hopefully your husband can help a little as well. The pizza in Naples is amazing but I must also tell you that the 24-hour pizzeria onboard is also and it will be interesting to find out which you think is best. I guess as you are on your honeymoon that I will not see you for days but hopefully you will stay out of bed and get some rest 🙂 Have a wonderful wedding day. BIG ED – We will have to make sure we ballast the ship properly. Lets have our photo taken together and if you could learn to speak with a British accent I can have a day off. ROBOCOP – Thanks for the kind words and I also hope we get to see each other very soon mate. LORI – January will be a great time to cruise = in fact I am going to chat about this with you all (y’all) in a moment. Please keep reading the blog thingy. THERESA – Please make sure you leave me a note with your cabin number so we can chat in May. I promise you I will do my best to keep you laughing and many thanks for reading my incoherent mutterings everyday. SARA JANE – Rome is a great city in which to “live it up” at night as you stated. You have chosen a brilliant tour as Rome at its Best is the PERFECT name for a day you will never forget. As for staying after the tour has finished, well of course you may but unfortunately the only night tour we have is a special dinner in a restaurant. It would be very difficult to get you to the place where it goes and at the right time to meet up with it. Therefore, you will need to take a cab back which will cost 100 euros, which if you have another couple with you to split the cost with it is not so bad. Remember also that the Rome at its Best is an all-day tour and considering you have to debark the ship the following morning, you may decide to get some rest. If you decide to stay in Rome at night have a chat with me as I know where the McDonald’s is! See you soon. BILL AND SUE – Of course I can book the Supper Club for you (can you say doggie bag). Kindly remind me the week before you cruise and what night you want to go (I suggest the second formal night). See you in August. SHARON – tell the banker I have excepted the deal and for Tim Horton’s Caramel Coffee I will meet all your group. Seriously, I would have done it without the coffee and we promise to make sure all your group are together. Heidi takes care of this during tour distribution and we will look after you. So coffee is not necessary but doughnuts are! DANIEL AND MARINA – I just read the link that allows you to catch up on the TV show Separate Housewives and I am going to check it out later today. If it works, I will ask the captain if you can drive the ship! I will do everything I can to make your first cruise a special one. LINDA – Great to hear from you again. I will promise to write soon about Heidi and I and how we met. She is the Assistant Cruise Director and responsible for everything I do. Her presence onboard allows me to do what I believe is cruise director’s primary responsibility (in my opinion, at least) and that is entertain the guests. The times I am on stage are my favorite. Heidi is also the first person you will see every morning as you debark on your tours and, providing I have not taped over her favorite program, left my underwear on the floor, or forgotten to put the toilet seat down, her smile will brighten your day. The movies on the big screen are a mixture of classics, recently released movies and concerts and you will enjoy each and every one of them. 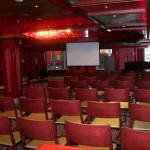 A huge selection of movies in the theatre are available on your in-cabin TV or, just like hotels, on a pay per view. Glad you got the menus and my best to you both. WWWWW – Your e-mail has brought me much joy this morning. Your in-depth diagnostic of my bowel movements leading you to surmise that it was indeed the tea to blame has left me smiling and comfortable in the knowledge that I can safely eat a Greek gyro without multiple visits to Poo Bay. I wrote the nice guest that gave me the tea a letter kindly saying I would not be needing her month’s supply for $89, however, if she could supply a large cork I would gladly pay a handsome reward. Sounds like the views you see in NY are ones to cherish and thank you for the lovely things you said in your comment about the blog thingy. Looking forward to removing the electronic fence and seeing you in August. SHIRLEY – I have already alerted Security to the fact that there will be noise complaints from the people in the next cabin as you “try and make your first baby.” I will try and help you with your shopping list of items you mentioned so let me know if you need any advice. Heidi and I also are trying for a baby and we also get noise complaints from the cabin next door. The people that live there say it’s the nosiest three minutes they have ever heard. See you in August. DAVE AND DIANA – It will not belong before December is here so hang in there. The mini golf course is very popular and soon will be a fleetwide addition. As for new items to amaze our guests, well there are a few things in the pipeline and as soon as they are official you will be the first to know. Thank you for your military service. Did you know that every cruise on every ship all retired and serving military personnel are recognized onboard during one of the shows? See you soon mate. MINNIE – Glad you found the web cam site helpful, 40 days is nothing and before you know it you will be here. See you then. PETE AND KATHY – Thanks for enjoying the blog thingy. I look forward to seeing all the Mellow Yellows. Do you have T- Shirts? KAY – The cruise is nearly here and before you know it your dream of sailing the Greek islands and Turkey will be here, I am so glad you like the blog and thanks for your so very kind words. See you soon. LINDA AND MIKE – Thank you for the offer of dinner however I think Mike may be too busy in the engine room to eat. See you on Turkey Day. JIM AND PEG – Do not worry about the gondola. We do have a weight limit but we have taken many people who are extra medium on one (myself included). 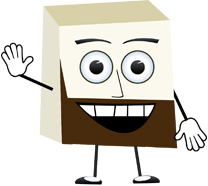 Chat with me onboard and I will help you out (not out of the gondola). Looking forward to seeing the T-shirt and I will swap you some diet tea for one. The piano bar entertainer is great. His name is Ron and you will have many great nights there. See you in June. BIG ED – Large Edward is correct. The Chocolate Melting Cake is indeed as addictive as Angelina Jolie’s ummmmmmmm..oh hello Heidi …smile. Once you have eaten one you will ignore all the other poor forgotten deserts who will be destined to live their life alone, never to be devoured by Big Ed and myself. So today, spare a thought for the poor and lonely desserts of the world who do not have any chocolate in them. To make a donation LOG ONTO WWW.BIGEDWONTEATME.COM. TERRI – For those who like to foxtrot, waltz, etc., we have our orchestra who will play big band dance sets. Also the band called Music Unlimited will also play the music you love to dance to. I hope you enjoy it all. ESSEXMAN – Unfortunately we do not sell Cuban cigars onboard as it is illegal for an American company to purchase Cuban products. See you soon Bill. SARAH – Most of the entertainment is chosen between myself and our head office in Miami. Let me know who you would like to see and I will let you know if it is possible. All of our entertainment is the best at sea. Thanks for writing. MERRILYN AND RICHARD – Please leave me a note at the Purser’s Information Desk when you arrive with your cabin number, etc. See you very soon. STEVE – here is a post of the wine list. We are very, very proud of our wine list and I hope you discover some new favorites there. TRERRI910 – We do provide maps of the ports plus more detailed ones are available as you disembark from the local tourist information centers. Please send my best to everyone on Cruise Critic. CHRIS – That is a great idea about the video, I was actually talking to the support team about this last week and we are checking to see if it is possible. Watch this space. KATHY AND PAUL – The Liberty is in the Caribbean this year – more on that later. The Freedom will continue in Europe for this whole season until November and then return to Florida. Next year the Freedom will return to Europe for more of the same. Cheers. 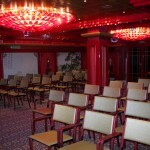 JIM – Heidi and I would be honored to attend your Cruise Critic group meeting. Just drop me an invitation to remind me when you are onboard. See you in May. JO AND DAVE – The only port we use tenders in is Cannes in the south of France. The tea did work wonders of that there is no doubt but unless I can host the shows from my bathroom I do not think I should keep drinking it. See you soon. RICHARD – I think the piano bar entertainer you are referring to was John Melnick. He was OUTSTANDING. The last I heard of him he had bought a bar in St.Croix U.S.V.I. I will be wearing my ugly British cruise director mask to your party! JACK – I have to say the boomerang gag went over well if groans are a measure of success 🙂 We have two great piano players here. Ron P is in our Scott’s Piano bar and the other Prezemyslav plays beautiful music in the lobby and other areas of the vessel. Thanks for writing in mate. ANDY – Thanks for the memory of that cruise. I will try and repeat the performance so you can get a video this time. When people say nice things like you did in your posted comments, it makes this job so much more special knowing that I have helped somebody enjoy their cruise even more. See you very soon and thanks again. SHEILA – Don’t worry about the Haggis but salad cream will do. Och AyeRight, now that marathon session over Q and A is over I can start my blog thingy for real .By the way, do you all read the answers or just skip to this bit?So, Istanbul was a different town compared to our call last cruise as the sun shone and temperatures reached the high 60s. The men were in shirt sleeves and T-shirts and the ladies Capri’s (remember you must have something below your knees when exploring Istanbul). Heidi and went to the Blue Mosque again and also spent some time in the Grand Bazaar. It was while we were in the Bazaar that I met Mr. and Mrs. Tony & Lorraine Barclay who said they were having a great time. We chatted for a while and then Tony asked me a question that I have been thinking about ever since. it was not an earth shattering question, it was just that I was not sure of the answer. The questions were “DO YOU MISS THE CARIBBEAN” and WHAT ARE YOUR FAVORITE PORTS?”I have continued to think about this so I am typing my answer as I am thinking about it so this may seem a bit – random. (No change there then I hear you cry). I love Europe, it is exciting, historic and also it is closer to home which is very important to Heidi and I. However, saying that I think I do miss the pure tranquility that the Caribbean has to offer. My first ship was the Holiday and I remember when Cozumel consisted of five shops, a couple of restaurants and Corona Beer was 50 cents a bottle. It’s amazing how much the island has change. However, Cozumel has been and always will be in my top three…so here is John’s favorite Caribbean Ports in reverse order as requested by Mr. and Mrs. Barclay from Nova Scotia, Canada. 5. St Thomas U.S.V.I. – Great shopping, beautiful beaches and a Wendy’s. 4. Grand Cayman – A touch of England in the Caribbean. Seven Mile Beach, Stingray City and so much more make this a place you will never forget. Jamaica has always had a special place in my heart and Ocho Rios has been the place there that continues to excite me. The people, the language, the food, the beaches, the rain forest all add up to a stunning and beautiful place. Tourism is so important to them that the majority of people still welcome you like it is the first time a tourist has stepped foot on their soil. Words like Yeah Mon and Irie Mon are repeated by thousands of cruise ship guests every week after their Ocho Rios exeprience. There will always be a place in my heart for the land of “No Problem Mon” Jamaica! Talking of the Caribbean, Heidi and I were excited that the Carnival Freedom will cover some of my favorite ports when it returns to Miami in November. Also included will be a visit to Grand Turk. I have never been there but from what I understand it is everything a Caribbean Island should be. How about we all cruise this together in January – shall we do a bloggers cruise? Let me know and also, what are your favorite Caribbean Ports. 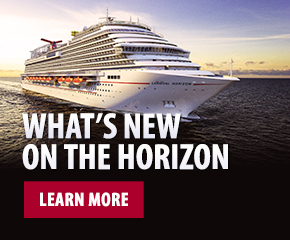 Here is the Carnival Freedom’s new Caribbean itinerary as of November.